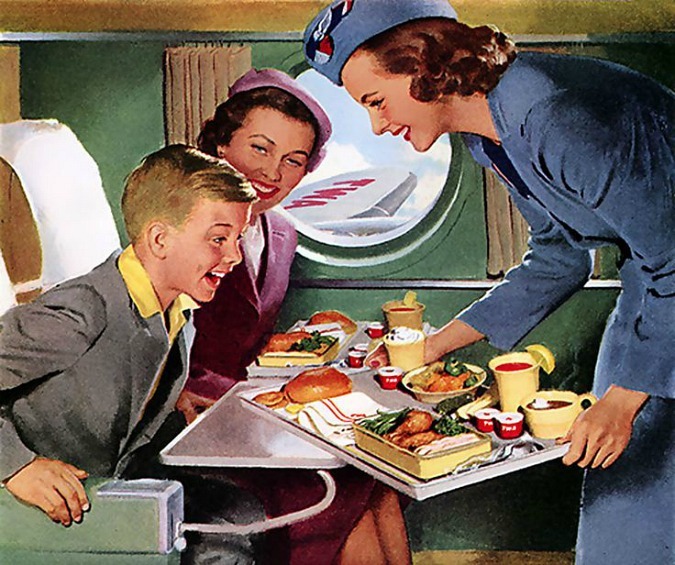 When I was a kid, flying was such an exciting and luxurious experience! 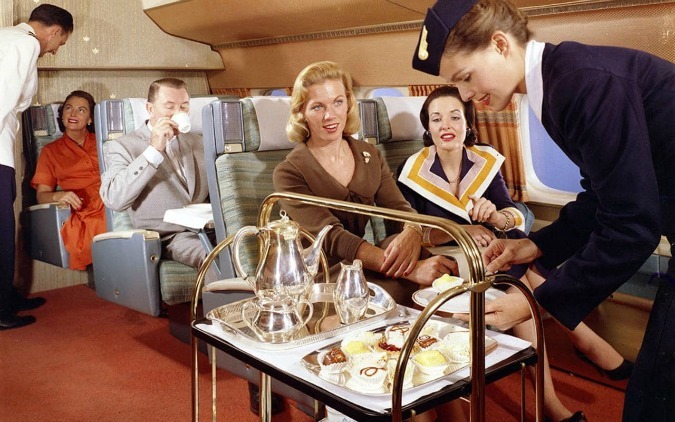 Not only did people actually take a shower, put on deodorant, and wore clothing that didn't resemble an ensemble you'd see at a summer sporting event or a day at the beach, people back then treated flying with respect because it was seen as something special. But that's the problem, flying isn't special anymore. 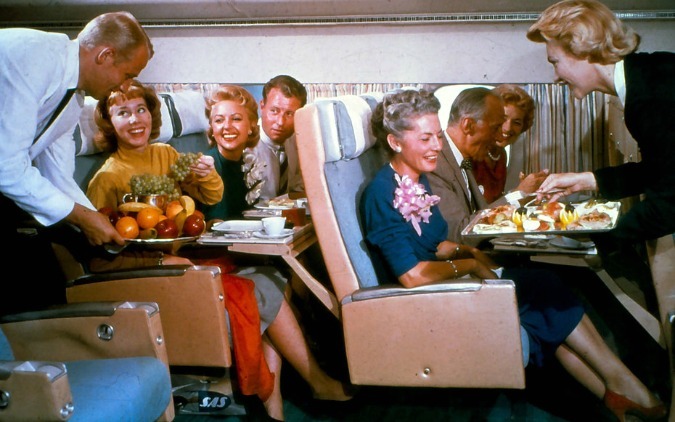 Flying is more like traveling in a tightly confined, smelly city bus or cattle car. Over the years, airlines have just stopped caring about the level of excellence they provide; therefore, I think that passengers don't see flying as anything other than a mode of transportation to get somewhere fast. Oh, and let's talk about safety. Years ago, a passengers only safety concern was whether the plane would perhaps malfunction in some way, being forced to undergo an emergency landing at the nearest airport. However, now safety concerns are whether passengers will have to witness other passengers getting into fist fights over their political views; or whether a passenger will have to be physically dragged off a plane before takeoff because of overbooking; or worse, terrorism. Flying (to me, anyway) is nothing but pure worry, tension, and anxiety - from start (checking in) to finish (disembarking the aircraft). Flying has turned into such an unappealing experience. But truthfully, do you know what I miss the most about flying? 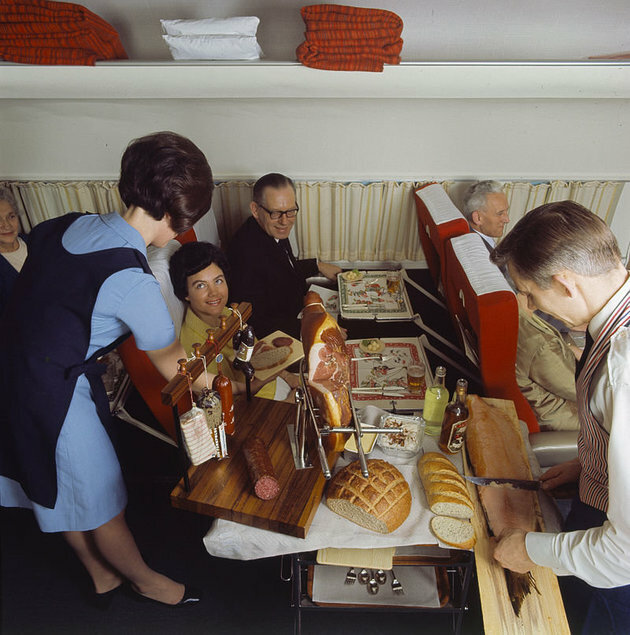 I miss what airplane food used to look like. 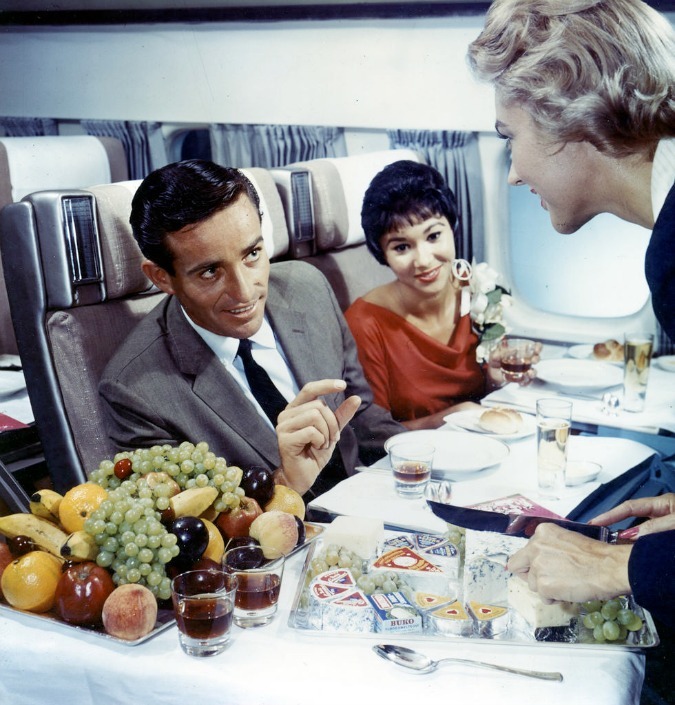 Even if you took a flight that was only 2 1/2-hours long, it was protocol for the airline to give you a full meal (breakfast, lunch or dinner) and that the presentation of that meal was done with pride. 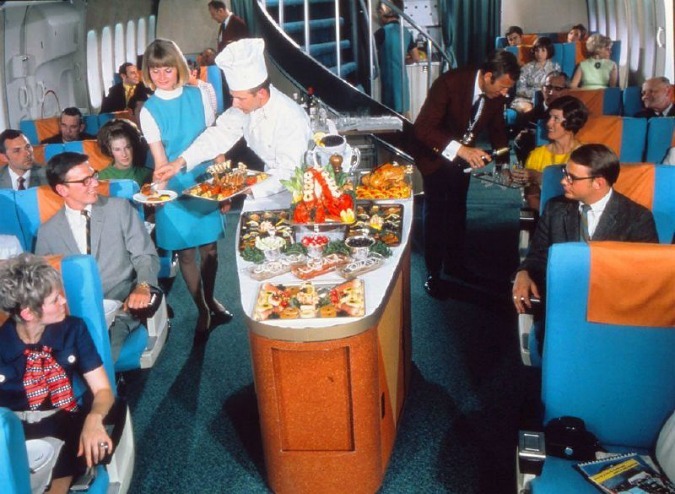 Let's take a trip back in time, when airplane food was something special. Flight Attendant (over the intercom): "Ladies and gentleman, the captain has turned off the seat belt sign, so feel free to move about the cabin and use the restrooms. In just a few minutes, we will start serving dinner and drinks. So please sit back and enjoy your meal. On behalf of the captain and crew, I would like to wish you a pleasant fight!" I love the curtains on the windows!!! Picture above: OMG...is that smoked salmon he's cutting? And look at that fresh bread! 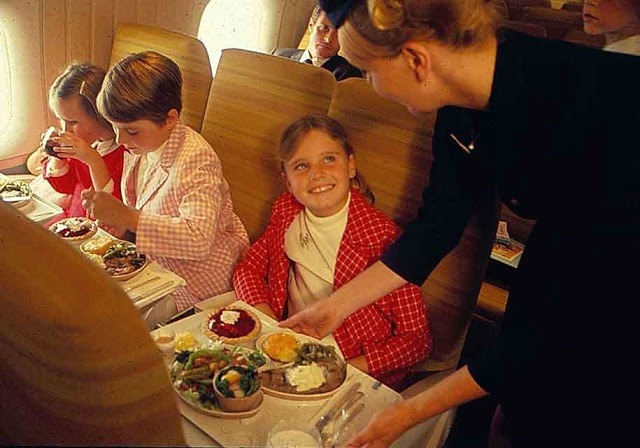 Picture above: An airplane "All You Can Eat Buffet"
Picture above: Looks like an onboard Afternoon Tea with the Queen! Do you see the three children in the photograph above? That's how my brother and I had to dress (and behave) whenever my parents took us on a plane. 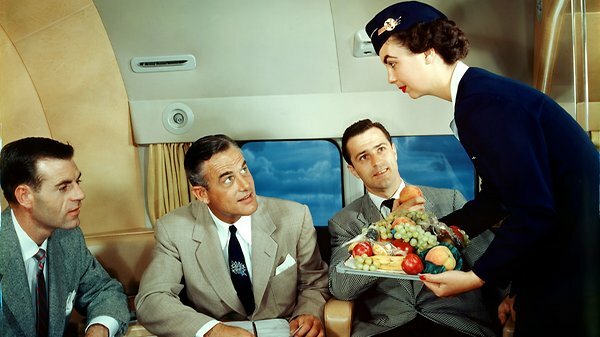 Picture below: Even in later years, airplane meals may have gotten a bit more conservative, but they were still served with the utmost class and care. 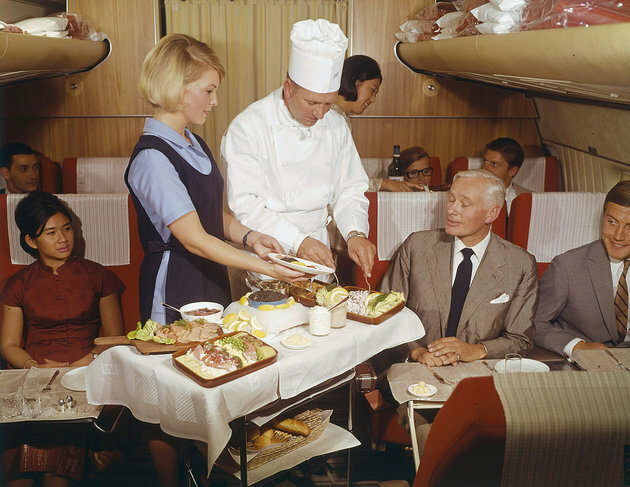 Flight Attendant (over the intercom): "Ladies and gentleman, dinner is served." Me: "Gee, I hope they didn't go through too much trouble!?" 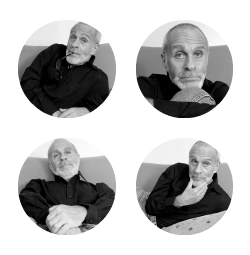 Great post Ron. Unfortunately, not much in the world in still on par with how it "used to be." Having said that, a couple of years ago we took Korean Air Lines from LAX to Japan. Although, it was a long flight, it was the best flight I've ever experienced. 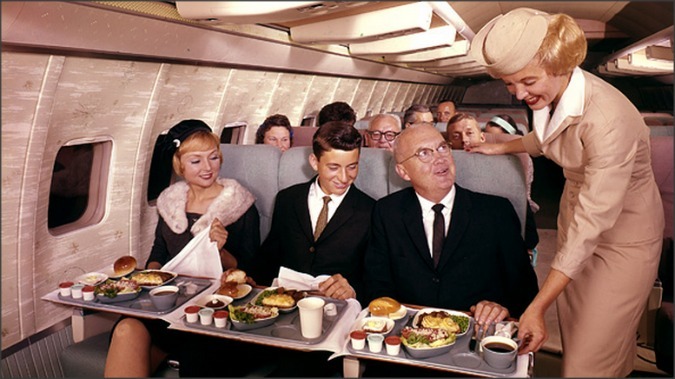 Plenty of room, plenty of flight attendants, and the food (2 full meals) was actually enjoyable. The flight back was the same. In part, I believe it had something to do with most of the passengers being Japanese. "Unfortunately, not much in the world in still on par with how it "used to be." Ain't that the truth, Pat. Yes indeed! "a couple of years ago we took Korean Air Lines from LAX to Japan. Although, it was a long flight, it was the best flight I've ever experienced. Plenty of room, plenty of flight attendants, and the food (2 full meals) was actually enjoyable. The flight back was the same. In part, I believe it had something to do with most of the passengers being Japanese." OMG, when I flew to Japan, I flew Korean Airlines as well and TOTALLY agree with you. It was the BEST flight I've ever experienced. And I especially the little white hot rolled up hand towels they would hand out throughout the flight so that we could wash our hands. Also, the flights to and from were the smoothest flights I've ever experienced. I forgot about the hot towels! I also should have mentioned that the flights were perfectly smooth. I felt like I was sitting in a room. WOW, that is some fancy flying! 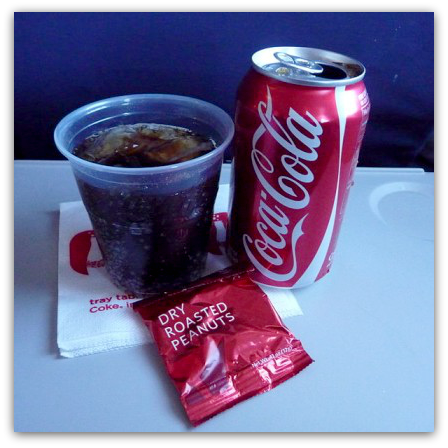 I have only flown a handful of times and remember maybe a small packaged meal many years ago, but then just a mini snack, and tiny cup of soda, like you said. My daughter bought neck pillows in the airport as it's not likely they have anything on board to help with comfort. If they did, I'm sure the charge is quite high. The horrors of flying now really concern me. We're considering a trip, probably just to Florida, so it might not be too terrible, but it seems that's all you hear today ... how flying is just not enjoyable. If you can't afford $$$$ to fly first class, then you're jammed in like sardines with rude passengers, and sometimes staff, etc. If we had more time, driving would be better! "My daughter bought neck pillows in the airport as it's not likely they have anything on board to help with comfort. If they did, I'm sure the charge is quite high." WAAAAY back when I flew as a kid and even into my 20's, the airlines DID offer neck pillows whenever you flew. Also blanks and eye masks to block out the light. Whenever I fly to Florida, I take Southwest because they're the cheapest and have really good flight attendants. They don't offer anything fancy in the way of food or drinks, but I do enjoy their great customer service. And it's a short trip from here to Florida. I also heard that Jet Blue is a great airline! True, I think the only way to fly and get outstanding service and more leg room is by going first class, but who can afford that, right?